Sheena Davis is an author, speaker and blogger. She is a graduate of Virginia Commonwealth University, a former Virginia Governor’s Fellow and U.S. Senate Policy Intern. 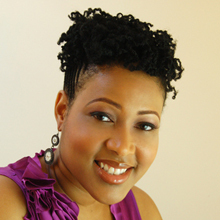 Her blog, The Urban Prude was created as a discussion forum for topics related to Christianity and popular culture.